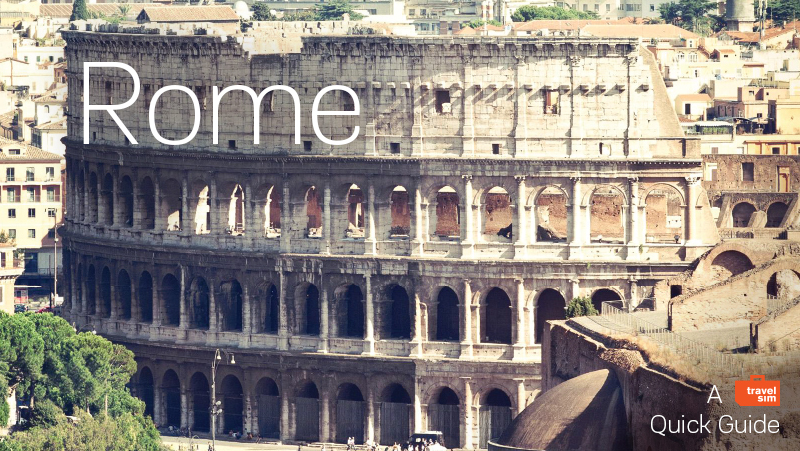 Rome, a palimpsest of ancient and modern, is said to take many lifetimes to explore. Here are a few tips to help you get around and choose what to see in the Eternal City even if you only have a few short days. Chic and affordable, The Beehive is conveniently located right near Termini station. You can chose between a rock-bottom shared dorm room or a “sweet” with a private bathroom and air conditioning. The cheerful and comfortable spaces are decorated with a mix of high fashion Kartel and rustic Balinese handicrafts. There is a small cafe that serves breakfast and has regular vegetarian evenings hosted by local chefs. Nicholas Inn is a stone’s throw from some of the most important sites of Roman antiquity, and you will find clean and simple rooms and friendly advice on the best of what to do and where to eat. You can stay connected with free wifi, too. Make sure to check out the hotel’s blog that is updated regularly with restaurant reviews and helpful traveler information. Some of Rome’e best food is its most affordable. Look for pizza al taglio (pizza by the slice). Choose from the classic bianca slicked with olive oil and sprinkled with salt or rosso with a thin layer of tangy marjoram dotted tomato sauce. Indicate how large or small you wish your slice to be. Stage your own taste test between Forno Campo di Fiori and Roscioli, both near the Campo di Fiori. Even the smallest size gelato allows for two different flavors, and the servings are generous. Grom and Fatamorgana both use only seasonal ingredients and have multiple locations. Start you day in Rome with a frothy cappuccino, caffeinate your afternoon with an espresso and end your evening with a caffe corretto, with an added shot of grappa. Stand at the bar with the locals and the price is half of what it would be if you sit down at a table. If you’ve got a smartphone, you’ll never eat a bad meal with Elizabeth Minchilli’s Eat Rome Android app on your device. Listings are updated regularly with the newest openings (and closings) in town. To research what exhibits are on and opening hours, check out In Rome Now, Romeing, and the official Rome tourist site. Rome-based tour guide Flaminia Chapman’s app the Rome Insider’s Guide (for iPhone) has loads of great suggestions for places in Rome to eat and explore. Make the most of your time and money with the RomaPass. The combined pass includes free entry to two sites of your choice (you can choose from many museums and archaeological sites) and free public transportation. Additional museum and site tickets are then available at a reduced price. RomaPass holders also have a dedicated entrance to the Colosseum. For the art lover, some of the best art is housed in churches with no entrance fees. Seek out works by Caravaggio in San Luigi dei Francesi and Michelangelo in San Pietro in Vincoli. Check out local bloggers for the best on the ground and up-to-date info on happenings and restaurants: Browsing Rome, Revealed Rome, and Elizabeth Minchilli in Rome. Head to the working class neighborhood of Testaccio and visit the peaceful Protestant Cemetery located on via Caio Cestio 6. An oasis of green and quiet, here you can see the graves of Shelley and Keats and also an ancient pyramid. About a 10 minute walk away on the via Ostiense 106 is the almost always empty Centrale Montemartini. Wander in this former power plant and see Roman era mosaic floors and ancient sculptures alongside the boilers and giant engines. The public transport system in Rome includes many buses and tram lines and two underground metro lines. The historic center is easily covered on foot, but to explore farther afield you should purchase a BIT ticket which is valid for 90 minutes of travel on either a bus, metro or tram. You must purchase tickets ahead of time at metro stations or Tabacchi (look for a sign with a big T), and remember to validate your ticket once you board. For fare information and route maps, visit their website. The free Roma Bus iPhone or Android app tracks (most) of Rome’s public buses so you know if it is faster to walk or wait. You can also geo-locate yourself, and it will tell you which bus stops are close to your location. The free Il Meteo app (available for a variety of smartphones) will help you know before you head out for the day if you need an umbrella or the sunscreen. 06 06 09. Look for a TAXI sign on the roof and a SPQR symbol on the door. TravelSim wishes you happy and safe travels!